Newcomer Family Obituaries - William P. 'Bill' Renkel 1931 - 2018 - Newcomer Cremations, Funerals & Receptions. William P. "Bill" Renkel , 86, of Denver, passed away August 6, 2018. He was born August 18, 1931 in Pueblo, Colorado, the son of William and Susan (Wade) Renkel. He was a graduate of Centennial High School in Pueblo, Colorado. He attended Texas Christian University. On February 16, 1952 he married Marschula Schlotz of Davidson, Oklahoma. Bill was a Life Member of Colorado Gun Collector's Association and would set up a table at the Tanner Gun Show one weekend each month. He as a Benefactor Member of the NRA. Bill was also involved with MARS Star Associates. In his younger years, Bill was a member of the Masons. 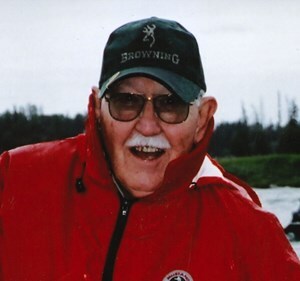 Bill was an avid outdoorsman who enjoyed hunting and fishing all over North America. He was one of the original rocket scientists, beginning his career in the 1950s in Fort Worth, TX. He was also one of the original Denver Broncos season ticket holders. Bill was a Senior Aerospace Systems Engineer with Lockheed-Martin and developed projects ranging from the Titan rockets, Apollo Missions, Skylab, space shuttle to the Peacekeeper, International Space Station and more. Bill is survived by Daughter, Mischa Sue Bettis-Seibel; Son, William Eden Renkel; Four Grandchildren, Christopher Lee Bettis, Nicholas William Bettis, Zachary Robert Bettis and Jocelyn Susanne Brooner; Great-Grandson, Mark Brooner and Niece, Krista (Mike) Brandt. He is preceded in death by his loving wife of 65 years, Marschula B. Renkel; Father, William Henry Renkel, Jr.; Mother, Susan Shirley Renkel and one brother, David Renkel. Memorial contributions may be made to American Diabetes Association, 2460 W 26th Ave # 500C, Denver, CO 80211. "Ride Hard, Shoot Straight, and Tell the Truth." "Just because it hadn't been done before didn't mean that we couldn't do it. We never thought anything was impossible." To share a memory of Bill or leave a special condolence message for his family, please click the Share Memories button above. Add your memories to the guest book of William P. "Bill" Renkel.